An address delivered by J.L. Eldridge, of Topeka, Kansas, at the Baptist State Convention in Salina, Kansas. 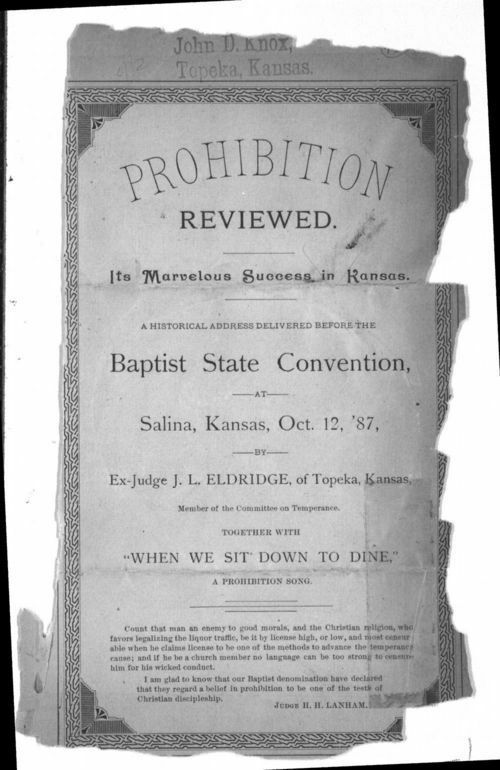 The speech focused on prohibition and it's continued success in Kansas. Prohibition reviewed. Its marvelous success in Kansas.